Xiaomi's Black Shark Helo gaming phone starts selling early, but you can't have it! Specialized gaming phones were not even a thing before the second half of 2017. However, to the surprise of many, competition in this newly-created segment of the market is starting to heat up. This month alone, we've seen the commercial debuts of the Razer Phone 2 and the Asus ROG phone, with Xiaomi also announcing its intentions to release a second gaming-oriented device in just one year. The company's new Black Shark Helo was supposed to hit the shelves on November 10th, but it looks like the handset is already on sale at the official Mi online store... in China. As far as we can tell, there was an earlier flash sale for the Black Shark Helo, with a second one slated for today at 8 PM local time. The two listed versions come with either 6 or 8GB of RAM and 128GB of internal memory. They are respectively priced at around $460 and $500. The Sports Edition, which boasts 10GB of RAM featured alongside 256GB of storage is currently unavailable, as it is slated for a December 12 release. 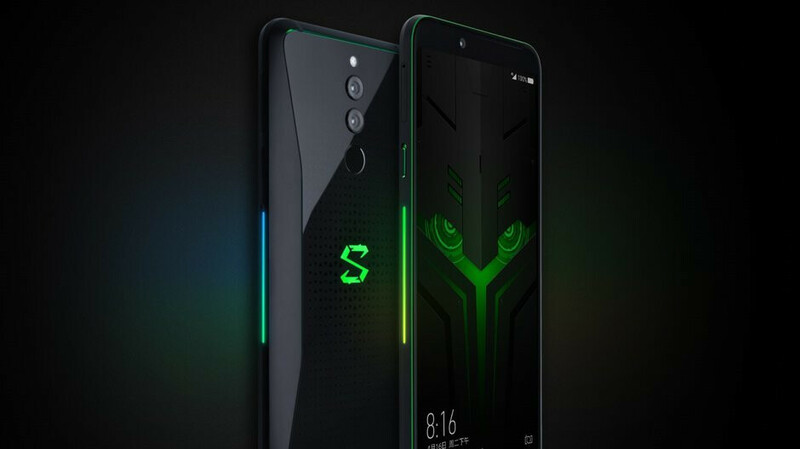 Other notable specs of the Black Shark Helo include Qualcomm’s Snapdragon 845 chip, a 12MP+20MP dual rear camera, and a large 4,000mAh battery. The device also features dual front-facing speakers and a dual pipe liquid-cooling system that is aimed at maintaining performance, even when playing intensive games. While it is regrettable that the Black Shark Helo can't be purchased outside of its native market, Xiaomi has teased that a global launch might be coming soon. Perhaps the early arrival of the phone in China is a sign that we're going to see it soon in other markets as well. If you are on a budget that's a good "Game phone" to go with. If not "Asus ROG phone" is a better choice. What about the Razer 2? There is a comparison between the 3 phones over at Youtube you can check it. Asus ROG phone is on top and that's also my opinion. The Rog speakers has a richer sound than the Razer add to that the squeeze and air triggers features over the Razer and IMO the ROG is better looking and smaller in hand than the Razer. Finally Razer the company isn't doing well, so the future doesn't look that great. Where are the games? Where are the developers? So in essence Google Play and the same developers. Marketing gimmick of a phone. Last I checked the A11 and A12 are the fastest CPU and GPU in its class. Now the A12X paves the path for the A13.